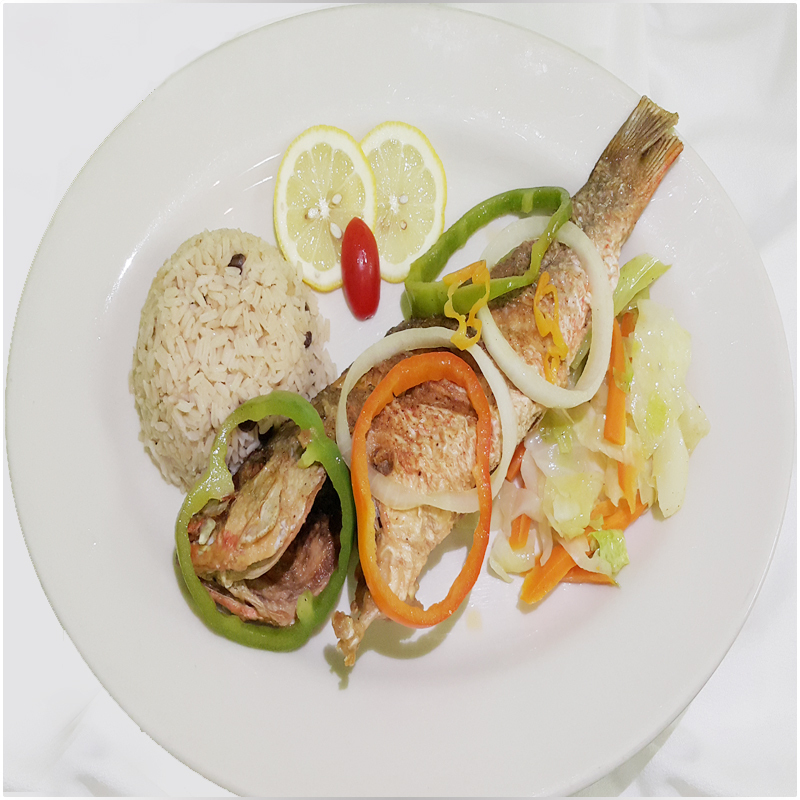 Whole snapper cooked on the bone with our special selection of herbs and spices until soft, juicy and delicate. Served with sweet rice, and steamed vegetables. Soft juicy snapper, falls straight of the bone with a hint of flavor full herbs and spices.